Product prices and availability are accurate as of 2019-04-18 04:07:10 UTC and are subject to change. Any price and availability information displayed on http://www.amazon.co.uk/ at the time of purchase will apply to the purchase of this product. 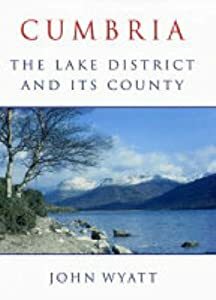 Published in 2004 as the county of Cumbria reached its 30th birthday John Wyatt's 600+ pages on its history, places and people can only be described as magisterial. This is a work that I expect people to be referring to for many decades to come. From Morecambe Bay to the Solway Firth there's not much of significance that escapes Wyatt's eye.